Our January newsletter is now available in the member area. If you haven’t set up your member access send us an email for instructions . 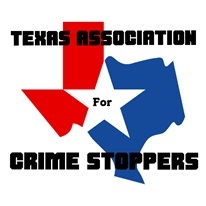 The agenda and details of items discussed and presented at the Texas Crime Stoppers Council meeting August 17, 2018 are now available in our member area. If you are a member of the TX4CS and need assistance in accessing the member area contact us at, wsh@tx4cs.com . The Legislative update link will soon be moved to the member area. As you know, the Association has been working on improving the statutory language of §414, Texas Government Code. We’ve asked many of you, individually, to provide feedback and suggestions regarding §414. Now, we need each member to send their suggestions so that we can combine our work with that of the state’s advisory committee. You might want to see changes to the way excess funds are calculated, clarification of jurisdictions, explicit protection for tip records, or something that seemingly impacts only your organization (it probably impacts many); tell us exactly what you think needs to be changed (or left alone). This is you chance to be heard and to impact the future of Crime Stoppers operations in Texas. Our 2nd newsletter has been published. Read the newsletter here. If you are a member of the TX4CS and haven’t set up your account to access the members area please contact us and we will send instructions on setting up your online account. Members should have received the newsletter via email. If you didn’t receive the email please contact us. Deadline for submission of the Crime Stoppers Assistance Fund grant is, Friday, March 9, 2018 at 5:00 pm. Video of the Texas Crime Stoppers Council meeting is posted, click here to view the video. Agenda has been posted for the Texas Crime Stoppers Council meeting, Monday, February 26, 2018, 9:30 a.m. The Office of the Governor, Criminal Justice Division posted a funding announcement for the 2018–2019 Crime Stoppers Assistance Fund grant. Additional information is available under funding opportunities in the member link. Our 1st Newsletter is now available for all members of the TX4CS. If you are not yet a member click here for a preview of our newsletter. 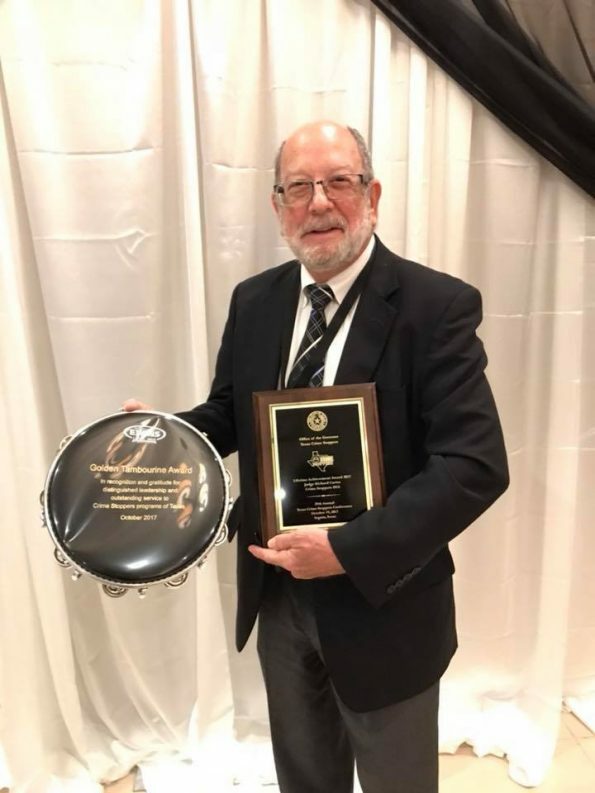 Judge Richard Carter was presented the 1st Texas Crime Stoppers Life Time Achievement award at the 29th Texas Crime Stoppers conference in Seguin, Texas. Justly named the Richard Carter Golden Tambourine Life Time Achievement award. Thank you Judge Carter for everything you do for Crime Stoppers. The Texas Association for Crime Stoppers is pleased to be associated with Judge Richard Carter.